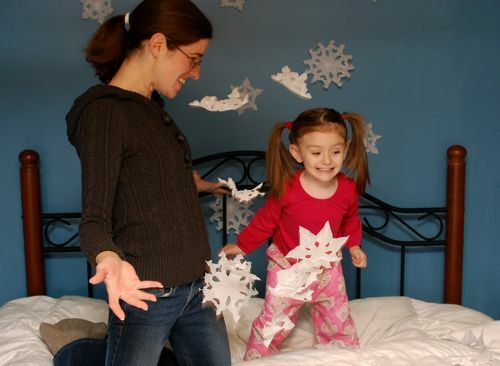 You are here: Home / Activities / Cheap Thrills — Indoor Blizzard! Cheap Thrills — Indoor Blizzard! 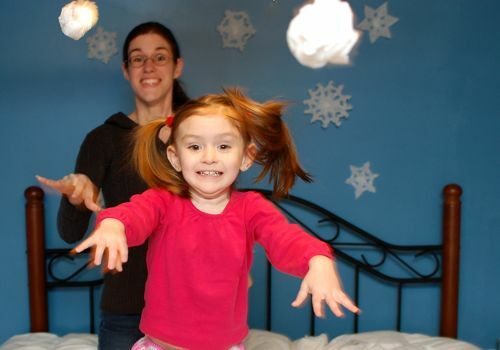 For a fun time, create your own magical indoor blizzard!! 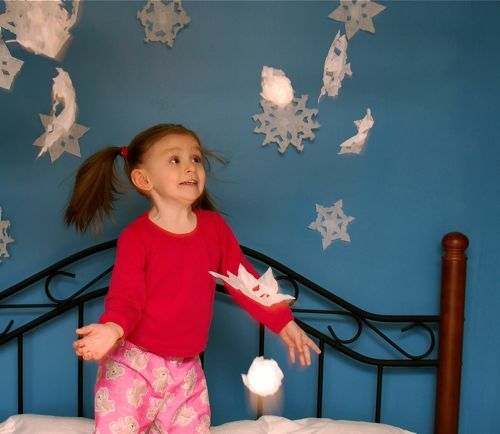 ((Snowflakes cut from coffee filters.)) We had lots of FUN playing in the mountains of snow (pillows with a white comforter on top), and it was a great way for Clara to burn off some extra energy! 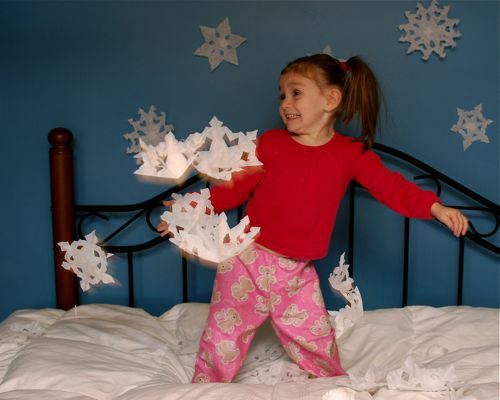 ….and have a little snowball fight! I think we’ll need to warm up with a little hot chocolate, don’t you? 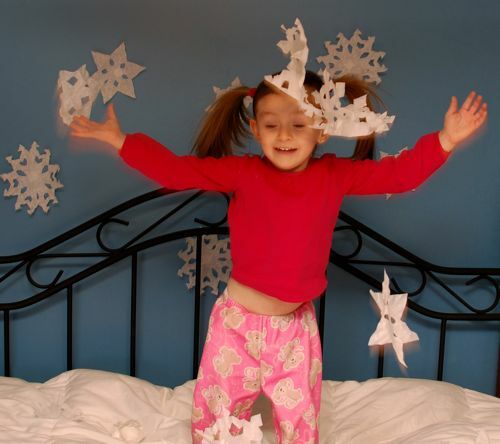 I can already predict that I will find snowflakes in the bedroom for weeks. so fun!! Love those big old smiles! LOL Thanks, Lindsay! It’s so much fun! So you missed the story about the monkeys jumping on the bed, huh? Love this idea. Great pictures Valerie! Good idea! I’m thinking….ice cream? Yum! That looks like so much fun! Very clever idea Valerie. LOL I wish you could have heard her squealing — she was SO happy!! I bet you had so much fun with that. Now I have to think if we have a white blanket. lol nice family fun! haha brings back memories when i was a kid!!!! haha yea i no rite…my sibs and i used to throw paper balls at each other and the trick was not to let it touch the ground…now we laugh thinking about the silly games we used to play!!! The pictures are adorable. That looks like so much fun. What a great idea! Have a wonderful Christmas.